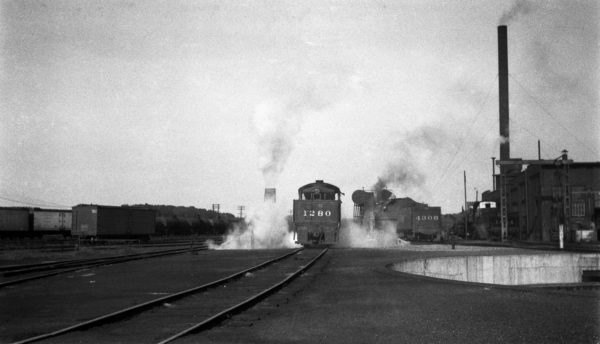 2-8-0 1280 (Baldwin) and 4-8-2 4306 (Frisco-built) at the Monett, Missouri Engine Terminal in 1939. 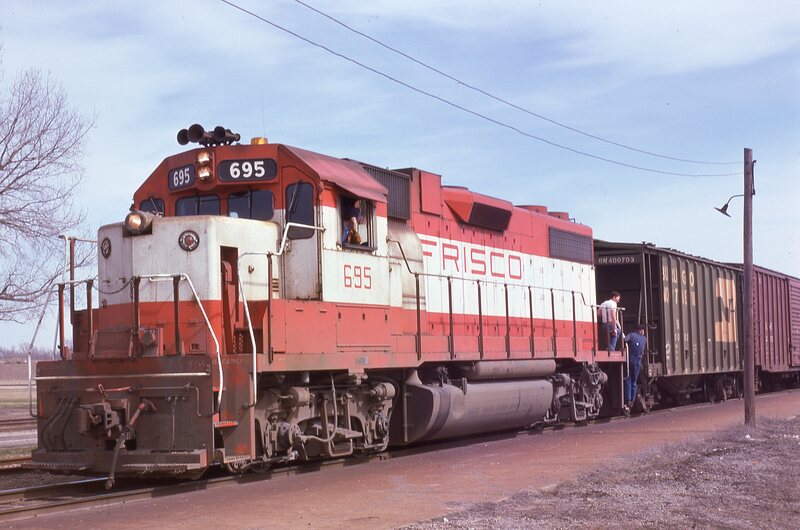 GP38-2 695 at Carthage, Missouri on March 20, 1975 (Jim Wilson). SW9 311 at Memphis, Tennessee (date unknown) (Mac Owen – Blackhawk Films). 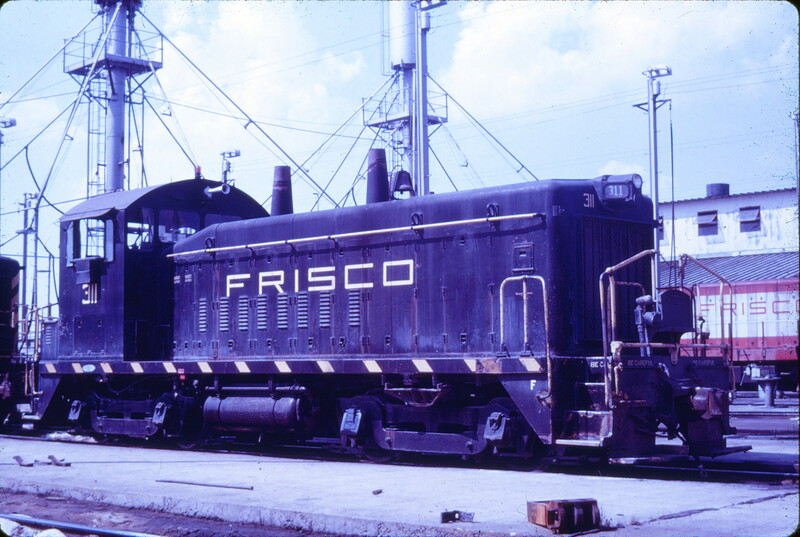 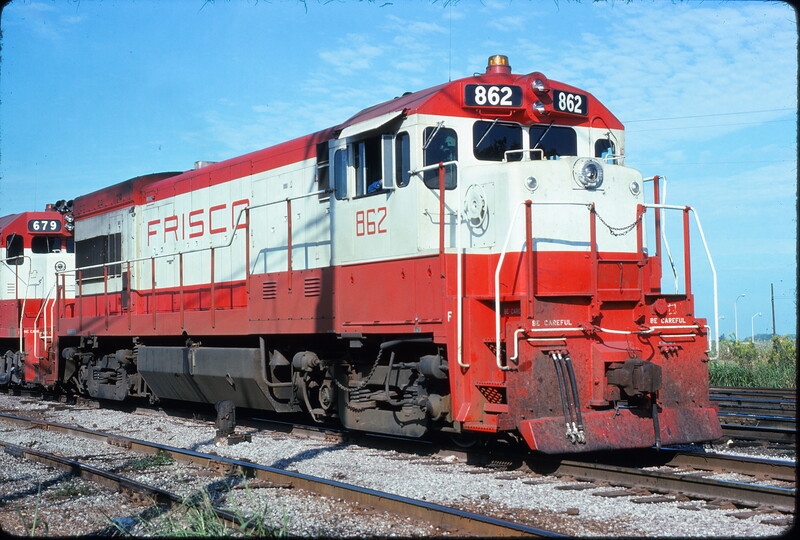 U30B 862 at Memphis, Tennessee in September 1975 (Steve Forrest).